If you like Sandalwood scented shaving soaps or woody scented ones , this is the kind of soap you want to add to your shaving soap collection. The Asylum Shave Works , made by WSP in Arizona , are based on the formula T , which contains Tallow and also Shea Butter. I won't go further away with all the ingredients list , it's croap consistency , the aluminum tins in which they comes and that you don't need to much product to create tons of quality lather.Most of us have tried the WSP formula T soaps and we already know that. The lather is very slick , which allows the blade to glide with no problems.Also provides good cushion , but again , it's already well known and I won't saying anything new about it. It's scent is what you would truly appreciate.If the Neroli and Black Pepper is a fresh scent with some spicy notes , this one has a fresh start which goes deep with woody and oriental notes.This is what some would defined as a "misterious" scent : when you smell it takes you far away to the East , India , a Turkish bazaar or getting lost in an old Moroccan spice market.This scent have reminded of all these places.Its a manly scent , not on the sweet side but with some sweet notes and very deep spicy notes. It took me some time to really appreciate this scent but now , pairing with the same scented after shave lotion , I have been complimented by several women and , well , that's always good , right ? As I said , for its price , 14.99 dollars , its skin properties and it's scent , a must have for the Sandalwood scented soap lovers or for the ones who enjoy a manly woody and spicy shaving soap. This soap has a superb scent. I went to order a second one and it's already sold out. Hopefully, there will be another run of it. Agreed...very nice scent and shave properties. Will be adding more inventory when I can! (03-07-2017, 07:22 PM)TheLegalRazor Wrote: This soap has a superb scent. I went to order a second one and it's already sold out. Hopefully, there will be another run of it. There will indeed. A 2nd run was ordered a few weeks ago and it should be ready soon. This is great news, Phil. I am glad these have been the success they deserve. I am not one to get excited for all things new, but these are hype worthy IMO. I love all things frankincense & myrrh. I often burn a said flavored stick of incense in the bathroom on indulgence shave days and even grated and scented one of my many Yardley soaps that have lost all original fragrance over the eons. I just received WSP formula T in Barbershop, Matterhorn, and Tobacco. Most disappointing is the Barbershop. Smells IDENTICAL to Reef Point's Classic Barbershop (...which means it doesn't smell like a barbershop, rather it smells like a cheap aquatic scent with light citrus). The Tobacco, while okay smelling, doesn't smell like tobacco or anything I've smelled tobacco mixed with. So I'm really not sure of the basis for matching the scent and the name. The Matterhorn is probably the closest (of the three) to what I imagined it would smell like. Clean and "Swiss" which only makes sense if you've been to Switzerland. But mostly commercial smelling; not artsy or refined. I am much more impressed by the two Asylum scents than these three WSP scents. Matt, I've tried the WSP Sandalwood and the Lavender, and I find the Asylum Frankincense & Myrrh to have the better scent. Ricardo, I'm not surprised to read this as well. Now, on the other hand, the base formula of WSP (tallow) and Asylum is world-class! (03-17-2017, 03:37 PM)Nero Wrote: Ricardo, I'm not surprised to read this as well. Agreed. Excellent tallow soap base. I started wet shaving in 2016. I began as most people do, with a tight budget. The experience was so superior to my regular cart shave of the past (sans soap most of the times) that for a long time i used inferior quality soaps, because i did not knew any better. i don't say this because they were cheap. there are quite a few cheap stuff that i like. the thing is that now i am more discerning. invariably, the average price in my soap rotation have gone up, not to the expensive stuff, but to the really good and reasonably priced soaps that most folk around here enjoy. glide, cushion and post shave have been discussed enough. all great. what got me into soap collecting was the scent. for us puerto ricans one of the most important holidays is the epiphany. it is celebrated on january 6 every year. the epiphany is the story of the three wise kings that followed the star to Belen, to the place that Jesus was born. every one of them brought a gift for the baby. one brought incense. the other myrrh. and the third gold. now, gold has no scent. jeje. the combination of the other two evokes the little kid in all of us puerto ricans. we celebrate it with gifts for all youngsters, just like christmas. its a day to share all that is good with family and friends, and to celebrate the birth of our savior. for me, every shave has a motive. some times is something simple, like this morning. i had a blue shave. i used jack black pre shave, speick cream, aqua velva after shave, and nautica balm. all of them have blue packaging. some other times i choose an artist, like miles Davis. and i put together a shave that has something to do with it. 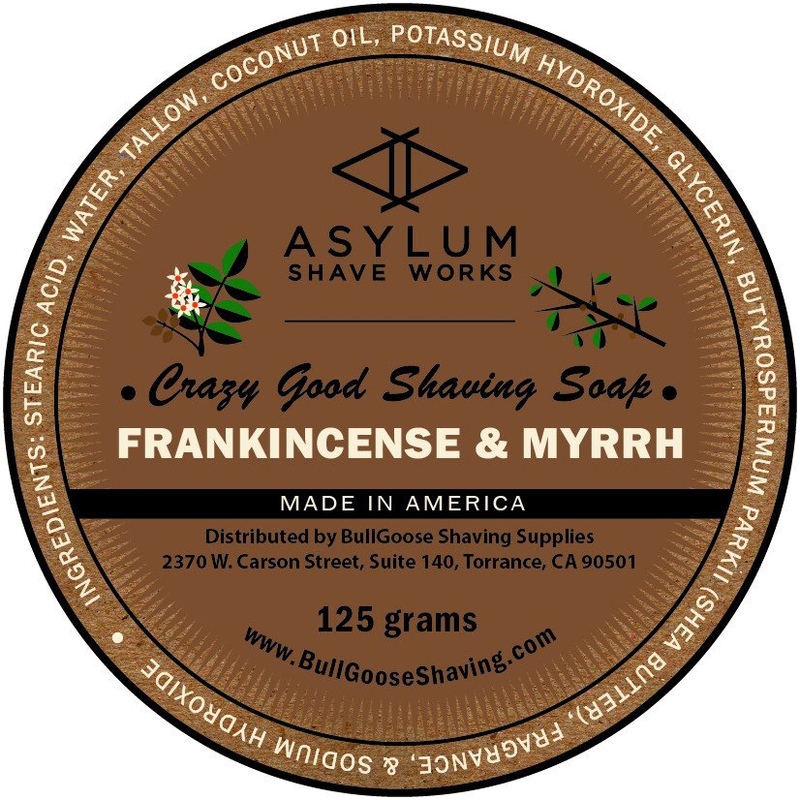 whenever i want to have a luxury shave, or an epic shave, i go to the asylum frankincense and myrrh. i just make me feel special. 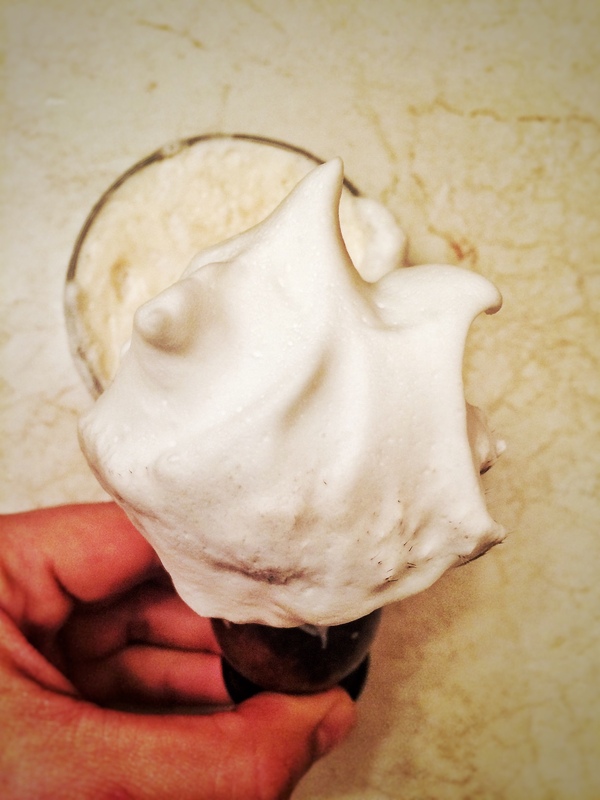 through it, i discovered the immense and powerful world of shaving soaps. i am hooked for life... thanks to phil. For those of you who have this soap, what is the scent strength and longevity of the scent of this soap? I would rate the scent strength as mild, perhaps leaning to medium. I do not find it lingers after the shave. All subjective, of course. Superb tallow base with a lovely scent. I recommend it. (03-28-2017, 03:44 PM)TheLegalRazor Wrote: I would rate the scent strength as mild, perhaps leaning to medium. I do not find it lingers after the shave. All subjective, of course. Superb tallow base with a lovely scent. I recommend it. Thanks for the feedback, will be getting one.